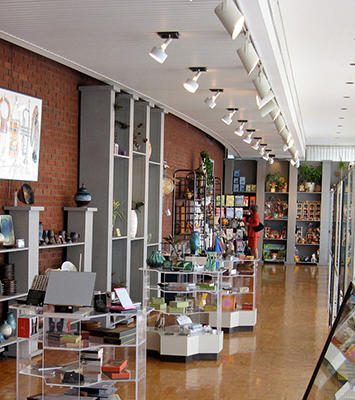 Promenade, Krannert Center’s lobby gift shop, has provided patrons with great service and a unique shopping experience for over three decades and will soon enter an exciting new chapter. After an in-depth analysis, the Center is pleased to announce a new direction for Promenade, as the space will now feature an artful showcase of behind-the-scenes activity, blended with a new selection of merchandise. Currently, all merchandise is available at a 90% discount while inventory remains. On Saturday, June 24 at 4pm, Promenade will close for floor refinishing and space renovations and will stay closed for the remainder of June and July. Promenade will host the artist merchandise store during the 2017 ELLNORA | The Guitar Festival—September 14 to 16—making the Studio Theatre available for ELLNORA performances for the first time.